In this blog post, we’ll discuss necessary gear, practice tips, and exercises for intermediate swimmers. Swim gear can be simple: a suit, towel, sunscreen, goggles (refer to blog “Tips for Beginners” for more information on goggles) and a swim cap for those with long hair. Remember, it’s still important to swim where a lifeguard is present or to always have another person in the water or close by. 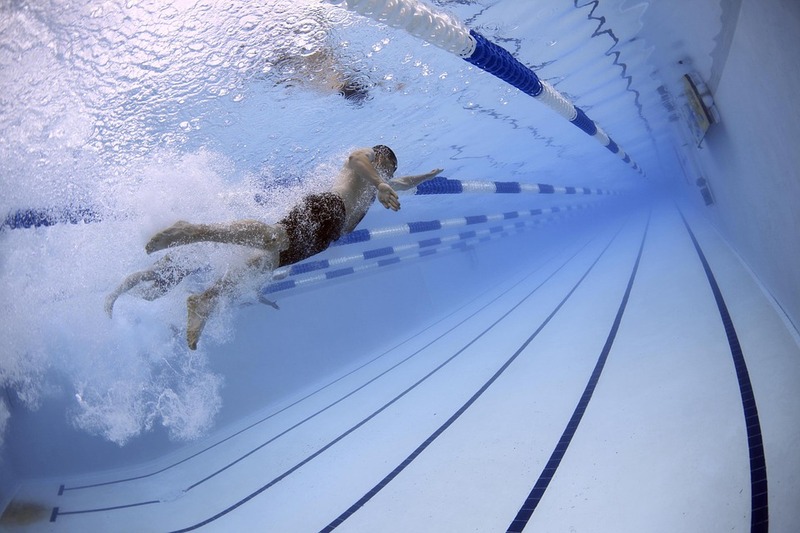 At the intermediate level, swimmers should be working on good body position (long, straight core) and extending arms from the shoulder on freestyle and on backstroke. It’s also time to focus on kicking from muscles in the hips and glutes (not from the quad/knee) and using a long leg with only a slight knee bend. Relaxed feet can work like flippers in the water. Intermediate swimmers should also start working on the breaststroke, learning either the arms or the legs/kick first and then adding the other part of the stroke when ready. 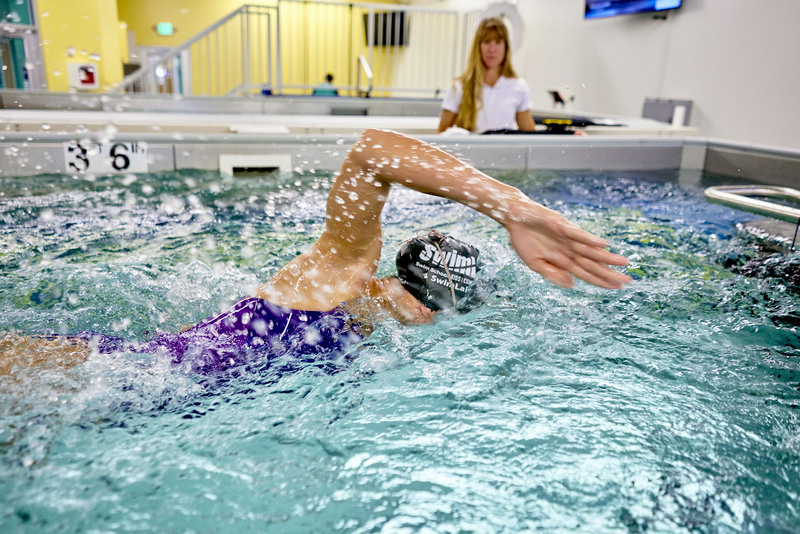 Usually, a swimmer will be stronger in either the kick or the arm pull of breaststroke and will gravitate to learning that portion of the stroke first. Helpful tools to practice breaststroke kick include a kickboard or a pull buoy. We use a pull buoy that the swimmer can hold between their thighs to emphasize narrower knees on a breaststroke kick. Timing and rhythm are extremely important in breaststroke and an experienced teacher will be helpful in learning this stroke. At our swim schools, we also teach the butterfly, or dolphin, kick at the intermediate levels. • A proper approach to safety skills and swim technique. • Reduced fear of water. • Regular practice and physical activity. • Reduced chances of drowning. 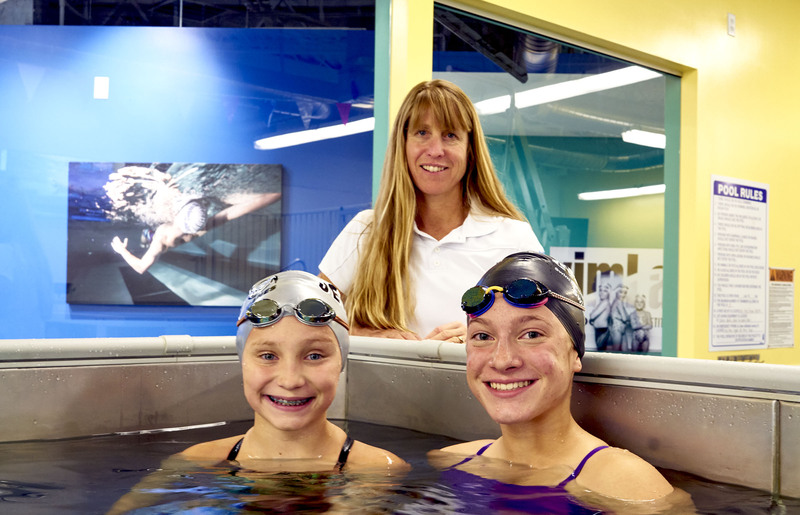 Our swim schools have lessons for intermediate swimmers including youth and adults. Let’s get swimming!